Often times recipes call for beaten eggs, or for you to beat the eggs, before adding them to a batter. Beating the eggs before adding them to the batter is very important. This step is often skipped though because many people think it is a waste of time. They just crack the eggs right into the batter and go about mixing. I want to encourage you though not to skip the step of beating the eggs when a recipe calls for it. Many batters, like pancakes and muffins, can be over mixed. And if they are over mixed the end result will not be as good. 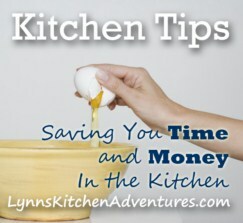 If you add in the eggs whole, it will require you to mix the batter more to incorporate the eggs in and break them up. 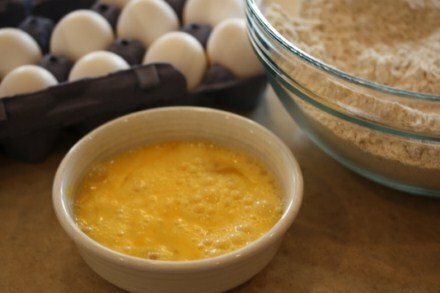 But if you beat the eggs before adding them to the batter, it will not take very much time at all to mix them in, and you will be less likely to over beat the batter you are making. So, when a recipe calls for beaten eggs, I encourage you to not skip the step of beating them. It really will make a difference in the end result. Thanks for the insight. I’m one of those that do just as you say, often skipping that step! Altho, many times I use liquid eggs, so that step isn’t needed. Love liquid eggs for that reason! I’m glad to know the reasoning behind beating eggs before adding them to the batter. I am guilty of skipping that step, but not anymore! Thank you Lynn. How funny that you should bring this up today. Just this morning I made the best batch of oatmeal raisin muffins and I was convinced that it was because I beat the eggs together the milk and oil before mixing with the dry ingredients. I’ve made this particular recipe a million times and never have they been as fluffy as they were today. Thanks for validating my suspicion with exactly what I was thinking!